Have you ever heard of CBD Skin Care products? Is CBD safe to use on the skin? Whether you’re an avid cannabis user or are just beginning to delve into the world of nonpsycho active CBD, it’s a little-known fact that applying CBD topicals is a great way to administer your daily dose. There are some unique benefits to getting your CBD this way. We’ll discuss all of those in the article. We’ll also look at some of the current scientific research and studies to back up the claims about what CBD may be able to do for your skin. Also, we’ll cover the basics like any potential benefits of applying CBD to your epidermis, and whether or not it’s even safe to be taking CBD this way! Then, we’ll get into some practical information that explains different ways you can apply CBD to the skin (and what CBD products are on the market for doing so) as well as where you can buy CBD. Ready to learn all about CBD and your skin? Read on! One of the first things people want to know is whether applying CBD to the skin offers any unique benefits. Why would you take CBD topically when you could eat or vape it? First of all, some people want a more approachable way to take this formerly controversial herb. Many people are still hesitant about ingesting it but still, want to experience the touted benefits of CBD for themselves. 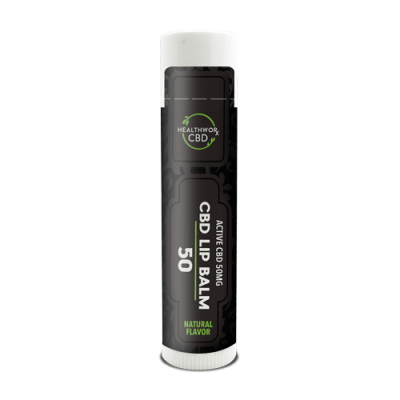 In these cases, rubbing on a CBD lotion or even applying a CBD lip balm to chapped and windburned lips can be a very comfortable way to expose themselves to all that CBD has to offer. Best of all, not only does CBD offer some internal health benefits when you apply it topically, including pain relief and neuroprotection — it may even help your skin look better. That’s right. Topical CBD may be able to offer benefits unique to your skin and this particular administration method. For one, CBD is known to be a powerful anti-inflammation tool. Many people take it for this reason alone; arthritis and chronic pain sufferers alike praise CBD for its ability to calm inflammation and ease their daily lives. That applies to your skin, too. If you suffer from redness, swelling, and inflammation, CBD may be able to help soothe and calm your skin. This is great news for those who want a more natural and effective solution to their skincare woes. Also, CBD may work as a powerful anti-acne healing agent. Being able to use a natural, plant-based product to heal and rid your face of acne? We can’t think of anything better! “Why synthetic cannabidiol for acne? Although acne affects millions and has been studied extensively, there are relatively few effective medications that are free from side effects. While CBD as a treatment for acne isn’t very well studied, Botanix points to one 2014 academic paper published in the Journal of Clinical Investigation. That study used biopsies of the human scalp and arm skin to try to determine whether CBD could suppress acne. The researchers found that CBD inhibited both lipogenic action (the way the body converts energy to fat for storage), and the production of sebocytes (cells in the sebaceous glands which produce the oil which coats the hair and skin of mammals). Both processes are known to contribute to acne. In other words, there is some scientific reasoning to back up the claim that CBD may be able to have a positive effect on our skin. While some dermatologists are duking it out over whether or not THC triggers acne outbreaks, others are turning to a different part of the cannabis plant. While THC is known to increase oil production, CBD has the exact opposite effect. Back in 2010, one Hungarian scientist decided to put CBD to the test. Dr. Tamas Biro isolated a group of skin cells and applied CBD. He wanted to see how the phytocannabinoid interacted with the natural endocannabinoids our bodies produce. It turns out; endocannabinoids play a significant role in determining how much sebum is produced in the skin. Too much of the endocannabinoid anandamide, our body’s THC, leads to increased oil production. Not enough leads to dryness and conditions like eczema. It’s likely that as scientists conduct more and more studies on CBD and all its beautiful uses, we will learn more about what this magical plant can do for the skin and our external health. As CBD becomes more and more popular, it is disrupting more and more industries. CBD isn’t just for internal uses anymore. Even unlikely industries like beauty and skin care are adopting CBD for a wide variety of amazing uses. Even The New York Times recently recognized CBD as a major trend when it comes to skin care and beauty! CBD oil may be able to offer some anti-inflammatory and anti-acne properties, making it perfect as a topical solution to many common skin issues. “There are already devout fans, some boldfaced, who are drawn to CBD topical products largely for their pain-relieving properties. Olivia Wilde recently told this reporter that she used it to relieve physical aches during a Broadway run. You heard it from high fashion and the glitterati — CBD for the skin is in, and it does work! Is CBD safe to use on the skin? Worried you might get high by topically applying CBD? We understand your concern. After all, you do not measure your dosage, and that’s an essential factor to consider with any potent substance. And when it comes to CBD lotions and the like, if you have super sore muscles and joints, you may take a huge handful and rub it into your skin without considering whether or not that’s too high of a dose. We have good news, however. There’s no need to fear. Because most CBD skin care products do not contain a psychoactive compound — the most well known of which is THC — there’s no chance for it to get you high. That’s right. In case you weren’t aware, not every substance that comes from the cannabis family of plants will automatically get you high. CBD products often come from the hemp family of plants. Hemp plants are specially bred to contain little to no THC in them at all. Growers use hemp plants for more industrial purposes, like rope, clothing, animal feed, and, yes — skin care products. That’s why CBD products and other materials that come from hemp, rather than the common marijuana plant, will not get you high. They contain little to no THC in them and therefore will not have any sort of mental effect. As far as other safety concerns go, you likely have nothing to worry about when it comes to CBD. After all, it’s a natural anti-inflammatory and also works to help heal and soothe. You should have no trouble with it interacting negatively with your skin. Of course, you should always check with a dermatologist or doctor and try a patch test first. You can apply a small amount of CBD to a tiny area of your skin and make sure that you have no adverse reaction. You should always do this before applying anything to a large area of your skin. 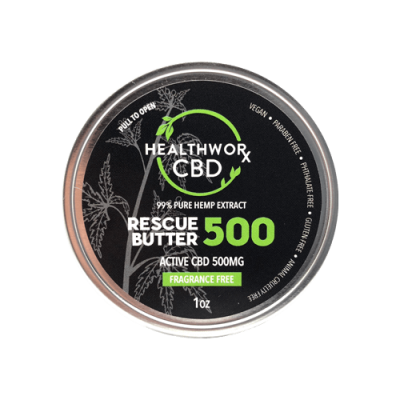 CBD Body Butter – CBD Rescue Butter – Active CBD 500MG – CBD Skin Care – Buy now at HealthwoRx CBD online shop! I am wondering how you can use CBD on your skin in the first place? If you are new to CBD or usually take CBD in another way, you’ll be pleased that this potent plant-based compound is available in many different formats! Try CBD rubs, balms, creams, and more. CBD lotion is another popular way to get your CBD in. You can use it to moisturize, nourish, and provide pain relief all in one! All of these different CBD skin care products serve slightly different purposes, but the idea is the same. Topically using CBD can be a great way to administer CBD to upset skin and sore areas of your body. You can even try a CBD lip balm. It will provide nourishment, healing, and softness to your lips and also give a tiny bit of CBD to your mouth, too. Rubbing CBD balms, creams, and lotions in wherever it hurts is another great option that many people love to do. Where can you get CBD for your skin? You’re in luck because we have a variety of CBD skin care products available right here on our site! 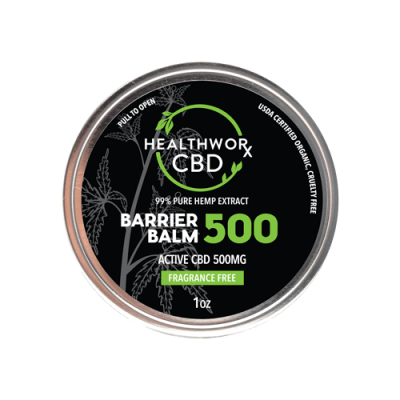 From CBD lip balm to CBD muscle rub and more, explore our website and browse the many different topical CBD products we have for you. All of our products are tested by an independent lab to ensure top quality and safety. Also, we stand behind what we sell and assure you that you are purchasing top of the line CBD products. We use pure CBD and the best ingredients in all of our offerings. Try them for yourself! Lastly, don’t hesitate to contact us if you have any questions about using CBD on your skin. We’re here to help, and we’re happy to point you in the right direction if you’re not sure where to start! This entry was posted in Lifestyle, Treatments and tagged CBD Benefits, cbd effects, Skin Care.